How to Migrate Custom Fields? 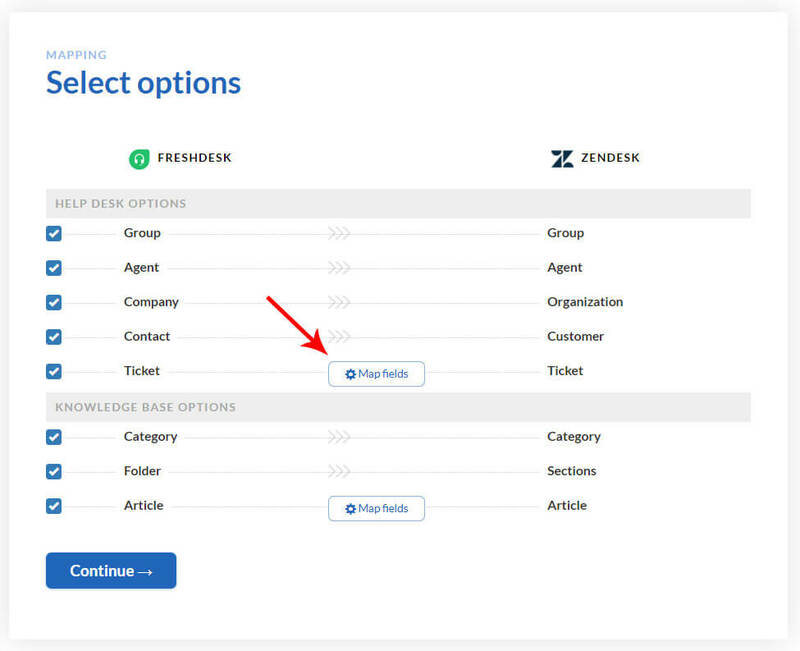 Custom ticket fields allow collecting information that is unique to your business. Using our service, you can transfer this information along with other records. 1. To transfer custom fields you have to create them in your new help desk before starting the migration. For better convenience, name the fields like they are named in the old help desk. You can edit the title later. The types of fields should remain the same. You can map the fields with identical types only, i.e., Text - Text, Drop-down - Drop-down, etc. 2. Having the fields created, go to help-desk-migration.com and start setting up the migration. When choosing the records, click the "Map fields". 4. Click the "Save mapping" button and continue the migration. Number Order ID, Phone number, etc. If you're having trouble mapping your fields, contact our team and we'll help you out or map the fields for you.